Your opportunity to join a dynamic leadership team which provides surgical services at the Misericordia Hospital. Reporting to the Senior Director Operations this position is responsible for the leadership and operations of surgery inpatient units, surgical day ward, and other assigned programs/units as required. The program manager is accountable for the daily management of the delegated areas, their efficient function and performance, and ensuring appropriate staffing levels to support quality care. The position monitors operational budgets, and participates in operational planning at the program level. 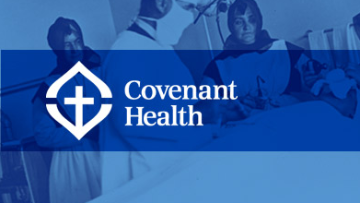 The program manager adheres to and serves as a role model for the Covenant Health mission, vision and values within the program. The responsibilities of this position are focused around four critical aspects of care and service, including people and teams, access and flow, quality and safety and efficiencies and resources. A Bachelor’s Degree in nursing or a healthcare discipline is required. Must have at least 8-10 years progressively responsible experience within a clinical care setting. Minimum of five years’ experience in a supervisory/management level position required Equivalent combination of education and experience may be considered. Active annual registration with professional association required. On call requirements for the site is required. A valid Alberta driver’s license is required as travel will be required. Progressive leadership experience in health service delivery, including practical experience in strategy and policy development, change leadership, budget management and project management. A proven track record of success in health leadership. Strong clinical knowledge and skill. Current computer skills along with familiarity with programs and software. Provides evidence of professional development. Exhibits excellent leadership, analytical and communication skills. Exhibits sound problem-solving and critical thinking skills. Excellent coaching and conflict management skills. Excellent organizational skills with proven ability to prioritize. Able to thrive in a dynamic team, with capacity to demonstrate broad understanding of the complex systems in health care.